A new Era of HoR. 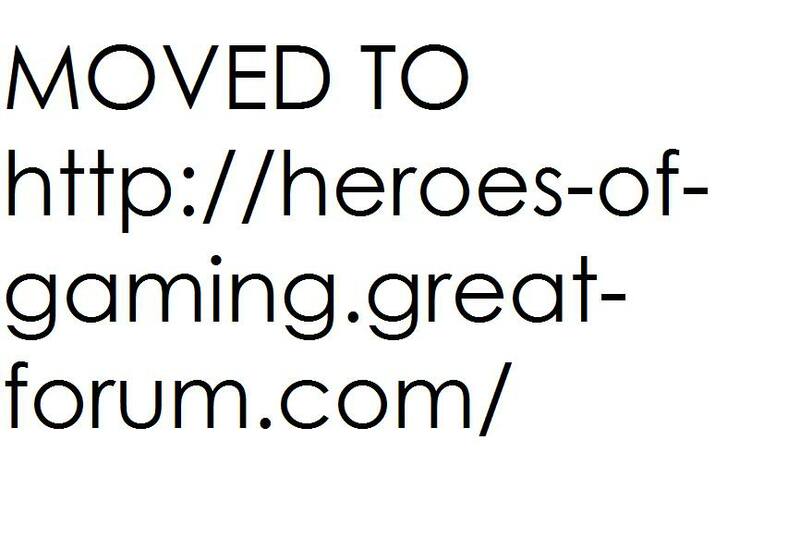 MOVED TO: http://heroes-of-gaming.great-forum.com/ » News Area » News » A new Era of HoR. Dear members of HoR, HoRs affiliates and clan friends. Change is often found the way to a new beginning. It happens in everyday life, but with this instance, it happens in the clan world. We announce the creation of the Heroes of Gaming. No longer do we go around under the Heroes of Roleplay, but as a representative of a union of clans. What will this change? ALOT. HoR will free its subsidiary clans and create a union. This will allow us to give more opportunities to members. We will be creating new 'Heroes of' clans as we see fit, and thus members will be able to suggest and even create these new clans. The prospects are endless. The decisions? They are all done by the Advisory Council. Currently, this would comprise of the Kings and Advisory Boards of each clan. Of course this gives HoR an early strong say, however as the clans grow it will become equal. (An advisory board is forming within HoW, so there will be two clans from start with an advisory board). Now, what else will this change? This gives our Advisory Council a small bit of power in every clan, and thats the say whether they are allowed to merge into or allow merges into them. Plus they can force-abdicate the kings of each HoG Union clan when they see fit. The rest of the clan work is up to the Kings and Advisory Boards. The Advisory Council itself will have a leader. The Supreme Advisor. They will be voted in by the advisory council after a certain amount of time (Undecided). Just remember. The Heroes of Gaming Reform is not just a structure reform. Oh no, its more than that. As a member of the HoR Clan Forum, you are being notified of a big change and move to another forum. If you still want to be part of the HoR community as a HoR member or as a clan friend, then please register to the new forum at http://heroes-of-gaming.forumotion.com. Any HoR clan members who do not register on the new forum will be considered for removal from the clan member list. This is primarily to filter out the inactive members from the currently active clan and to see who really wants to help support our new idea. We hope that all the members consider making the transition into this new forum and support our cause of offering a forum to promote different games and different styles of gameplay.